Petro Poroshenko, the President of Ukraine, Iurie Leanca, the Prime Minister of Moldova, Irakli Garibashvili, the Prime Minister of Georgia, and the EU heads of state and government, on the second day of the EU summit, signed their countries’ Association Agreements (AA), which are coupled with Deep and Comprehensive Free Trade Agreements (DCFTAs). It has taken many years to put in place those agreements, seven in the case of Ukraine, which had already signed the political chapters of its AA. Although the AAs stop short of promising the associated countries EU membership, Poroshenko and Garibashvili stated the wish of their countries to join the Union. “Our return to the European family by becoming a full member of the European Union once and for all, is Georgia’s unwavering will,” Garibashvili said. Poroshenko delivered an emotional speech in which he reminded his audience that in recent months, Ukrainians had paid with their blood the right to sign the Association Agreement. He displayed a pen offered to him by the Lithuanian President Dalia Grybauskaite bearing the logo of the 28-29 November Vilnius summit of the Eastern Partnership, and said he would use it to sign the AA. It is the failure of former Ukrainian President Viktor Yanukovich to sign the AA at the Vilnius summit that marked the beginning of the dramatic events that led to the Euromaidan revolution, as well as to the annexation of Crimea by Russia, and the takeover by separatists of the Eastern regions of Donetsk and Luhansk. “The external aggression on Ukraine gives another reason for taking this step. Will Europe be free or partly free? Will it have to worry more wars and annexations or will it be more confident in the future? 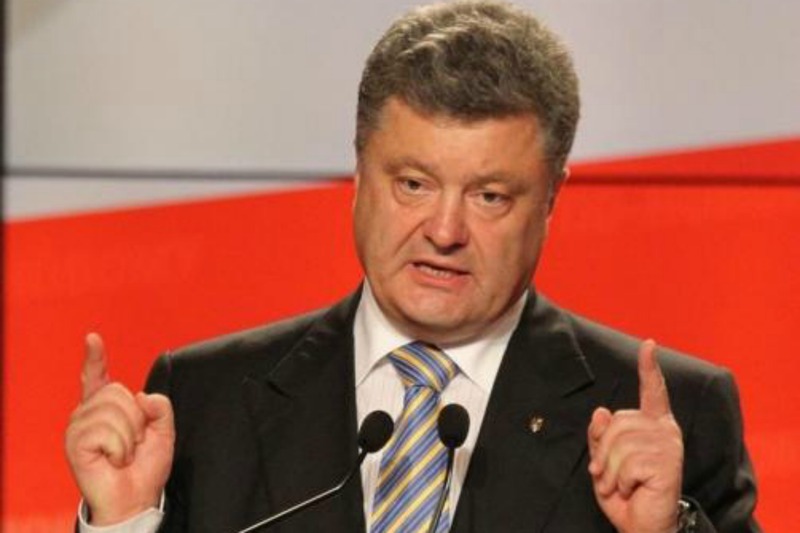 These aren’t idle questions,” Poroshenko said. Poroshenko said that the dear price paid by his countrymen to make their European dream come true was “worth something: for instance, a statement on the part of the EU”. The statement could say: “Once Ukraine would be ready, it would be in [the EU],” Poroshenko said, adding that such a statement would have cost the EU “nothing”, but that it would mean “the world” for his country. “By signing the agreement the EU, Ukraine, as a European state, sharing common values of democracy and the rule of law, is underlining its sovereign choice in favour of future membership in EU, in accordance with article 49 of the Lisbon treaty,” Poroshenk said. He explained that the AA was considered by Ukraine as “an instrument of comprehensive preparation for the achievement of this goal”. “The EU is more than an exclusive club of rich nations. The EU is an idea, the right answer for Europe. And today, we all, EU and non-EU, make an important step to turn this idea into reality,” Poroshenko said in English, adding in Ukrainian “Glory to the EU, glory to Ukraine”. Asked later by EURACTIV to elaborate, Poroshenko said that as long as the EU and Ukraine didn’t have a joint statement on the issue, he expected the EU to state that they recognise the right of Ukraine to demand the EU accession perspective. “I think it’s not a bad compromise”, he said. In the meantime, EU leaders have had a discussion about the situation in Eastern Ukraine with the participation of Poroshenko. It was actually Poroshenko who first brought to the press room the Council Conclusions on Ukraine, which in fact give Russia an ultimatum. launch of substantial negotiations on the implementation of President Poroshenko’s peace plan. EU leaders state that they will asses the situation, and meet for an extraordinary summit, “at any time for further significant restrictive measures”. Following the summit French President François Hollande said he and German Chancellor Angela Merkel will talk with Russia’s Vladimir Putin over the phone on Sunday 29 June to assess the situation in Eastern Ukraine. Scores of people have been killed and wounded in Ukraine since the rebellions in the two eastern regions. The dead include about 150 Ukrainian servicemen - among them 49 who died when a cargo plane was brought down by rebel fire - and scores of rebels and ordinary citizens. It has been the worst bloodshed in Ukraine since it became independent with the breakup of the Soviet Union in 1991.